Guillaume is an AIMG glacier guide, the photographer of the team and nature enthusiast. Guillaume is a Wilderness first responder and member of the Icelandic search and rescue team. He and Solla try to travel as much as they can, taking photos and exploring new places. Guillaume comes from Chamonix in France. He is a ski and snowboard instructor and used to work as one for over 12 years. He is a mountain man, skiing, snowboarding, hiking, biking, paragliding and sky diving is his passion. Guillaume moved to Iceland 3 years ago following Solla. He has been working as a mountain guide in Iceland since he arrived. 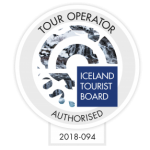 Mainly guiding people around Iceland’s stunning glaciers and the surrounding area. Guillaume uses a Sony alpha 7 cameras and DJI Mavic Pro drone for his photography. Guillaume is a self-taught photographer and you should check out his personal Instagram account @guillaume_m_k. He is also the owner of most of the photos on @localicelander Instagram. Solla is a Local Icelander. She was born and raised in Höfn a small fisherman village in Iceland. Solla is an AIMG glacier guide and works part-time as an EMT on the local ambulance, she is also currently studying business management on the side. Solla is also a Wilderness first responder and member of the Icelandic Search and Rescue team, she has various training through her work there along with an adventure guide diploma from TRU. Solla lives for nature, you can find her skiing, hiking, biking or exploring the amazing nature of Iceland when not working. Solla has been guiding in Iceland for over 6 years now and loves nothing more than bringing people to some of her favorite sights in Iceland. She feels that everyone should be able to enjoy Iceland like a local and she is here to help you to do exactly that. That’s why she wanted to make the Iceland itinerary guides that you can buy on our website. They will allow you to travel like a local in Iceland. Local Icelander was there for the perfect way to combine her passion for traveling and exploring in her own country.